When it comes to operating a business, it is important that you follow the letter of the law. Whether you own a small business or a global franchise, it’s important to grasp the ins and outs of standard business law practices. Kepple Law Group’s business lawyers in Peoria, IL provide superior business law services to assist you in your on-going success. Business Law: What Is It? Generally, the term “business law” refers to the legal practices and laws surrounding all business entities. Business law deals with both the creation of new businesses as well as existing businesses. This section of the law covers many different legal areas, including, but not limited to, sales, employment law, real estate, bankruptcy, tax law, and more. Becoming familiar with every aspect of business law is important when it comes to the success of virtually any business. 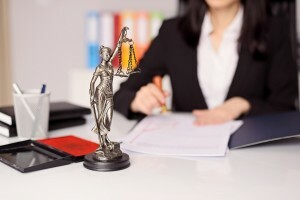 A specialized attorney can help ensure your success! Kepple Law Group’s team of business lawyers in Peoria, IL are highly qualified experts within their field. If you need a skilled business law attorney, Kepple Law Group, LLC will fight for you. Kepple Law Group is well-known for employing the best and brightest business lawyers in Peoria, IL and beyond. If you need vital assistance with your business, it’s time to get in touch with Kepple Law Group, LLC today by calling 309-282-1545. We’re here to discuss your legal needs and provide answers to your most pressing business law questions.